Do you love chocolate and raspberries? 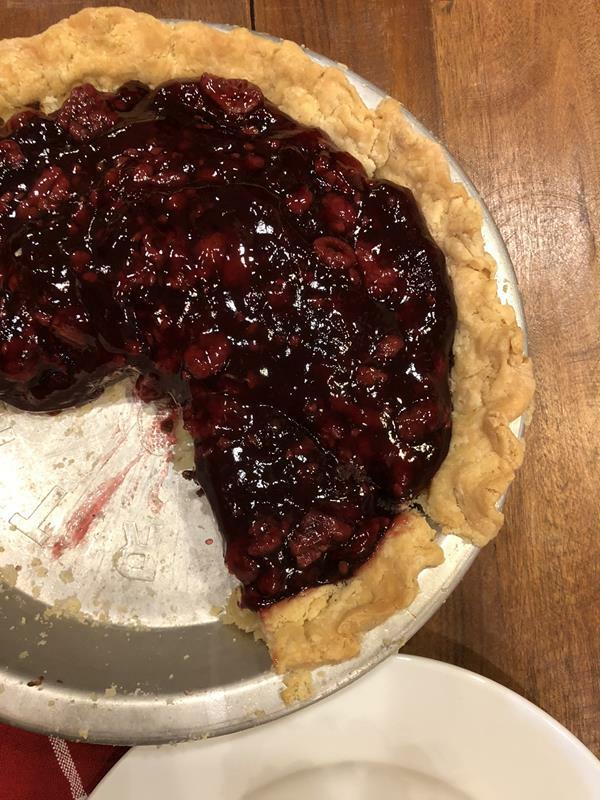 If you love them as much as I do, I think you will love this pie. This Chocolate Raspberry Pie is an easy and delicious homemade pie that combines chocolate and raspberries! Chocolate and Raspberry are the perfect combination. Well, maybe not perfect, but they go together so well. 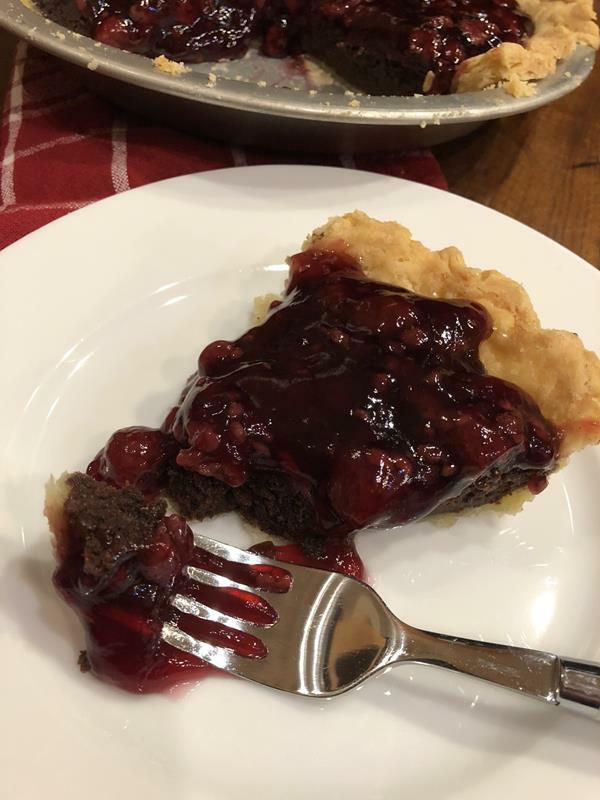 Over the holidays I shared a recipe for a Black Forest Pie. The Black Forest Pie is so good. Especially if you love cherries and chocolate together. However, I am more of a raspberry person myself. I will choose chocolate and raspberries over chocolate and cherries any day. 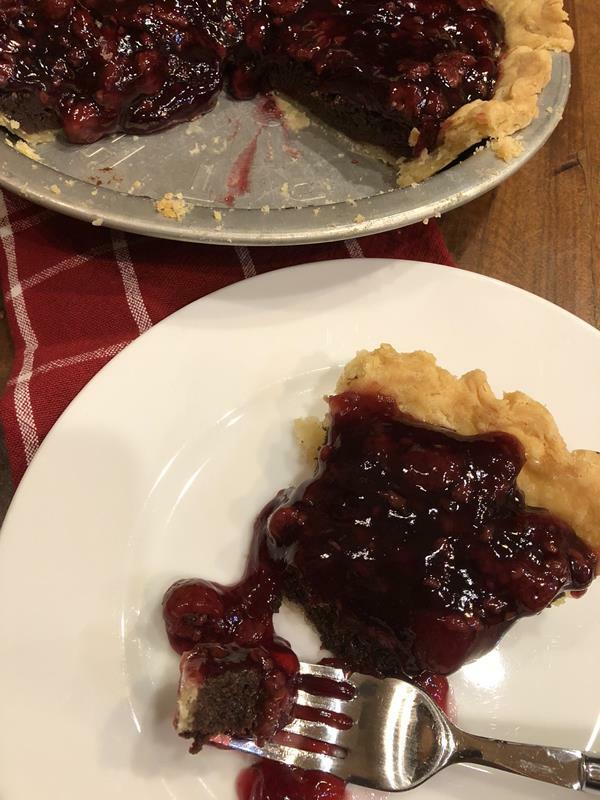 So I took the basic recipe for my Black Forest Pie and made it with raspberries. In my opinion the raspberry version is even better than the cherry version. It is so good! It is rich and fudgy and delicious. This pie is delicious on its own, but you can also serve this with whipped cream or ice cream. I had a reader comment on Facebook that they served the Black Forest version with whipped cream, chocolate syrup, and shaved chocolate. Those toppings would be good on the raspberry version as well and is a fun way to make it even more special. I used my gluten free pie crust for this pie. You can use a homemade pie crust, a store bought one, or a gluten free pie crust. No matter what version of crust you make I think this is a pie that you will love! 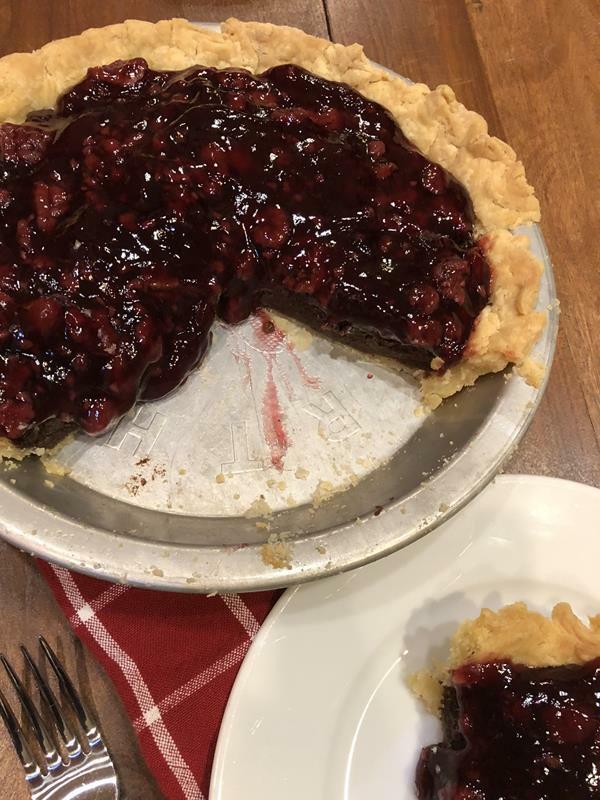 Chocolate Raspberry Pie is rich and delicious. In a saucepan combine sugar, cocoa, and flour. Stir in milk and stir until smooth. Cook over medium heat, whisking until smooth. Add butter. Continue to whisk and cook over medium heat until thick and bubbly. Continue whisking and reduce heat and cook for 2 minutes. Pour mixture into pie shell and bake for 35-38 minutes or until filling is almost set in the middle. 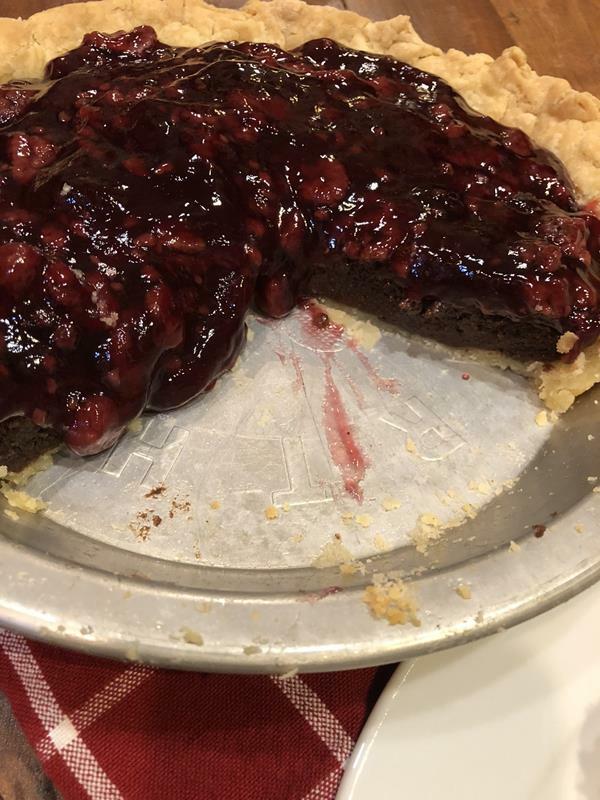 Spread raspberry filling over chocolate pie. Oh, this looks so good. Just the thing I need to make for hubby’s birthday dessert on Friday. Thanks so much for sharing. I hope he enjoys it and that he has a happy birthday! !